Fusible appliqu? panels. Six sprout leaves in two sizes per panel. The large one is 6" from point to point, and the small one is just over 4" from point to point. Just cut, stitch, trim, and turn to make fusible appliqu?s for all your sewing projects! Instructions and tips printed on the interfacing. Five 12" x 18" fusible interfacing panels per pack. These are great shapes to have on hand - use for home dec, clothing and more! Pictured here is adorable granddaughter, Hazel, with her quilt. 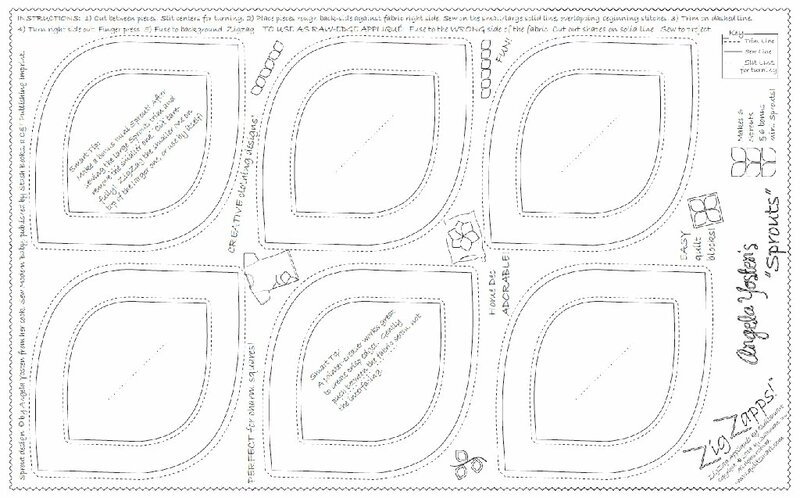 For FREE INSTRUCTIONS for Hazel's Flower Sprout Quilt, go to "Printable Resources" / Free Layouts, Designs, & Patterns / Flower Sprouts.